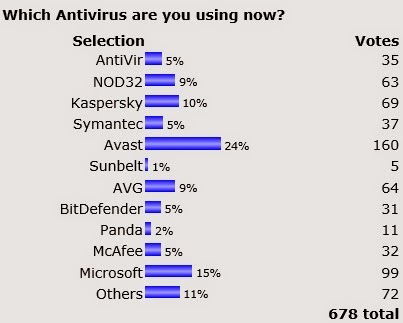 It had been a long time since I updated the Antivirus poll and I know its not fantastic, but at least it seems to me that people who voted made good use of FREE antivirus such as Microsoft or Avast (FREE version I presumed). Well, maybe that will guide my direction that more people actually wants to get hold of a good paid AV. The results however does not tally with the real market trends out there, but of course that because its only for visitor on my blog. But don't worry, the poll is not a waste effort. In fact in the next 5 minutes, I would share a 1 year license of a paid AV with you!